La Jolla Cove is one of the most well-known attractions in La Jolla. Complete with crystal-clear blue water, pleasant swimming temperatures, and an abundance of marine life to observe, it’s become a favorite spot for snorkeling and scuba diving. Nowadays, the spot is infamous for its seals and sea lion population – and the odor that accompanies them! – as a protected habitat. 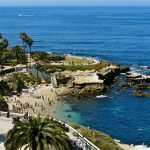 However, like most of La Jolla, there are a few unique things about La Jolla Cove that make it completely unlike anywhere else in San Diego. 1. Water visibility can sometimes exceed up to 30 feet. 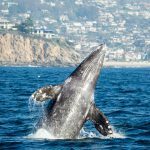 A fact that arguably makes it one of the most ideal spots to snorkel and scuba dive in all of Southern California. On most days, you can see clearly right to the bottom of the seafloor – so even without snorkeling gear, you’ll probably get to see a Garibaldi or two! If you do want the full experience, you can easily rent snorkeling or scuba diving gear at nearby La Jolla Shores. There are also guided tours available, if you don’t want to go it alone! Kayaking tours and rentals are also a terrific option, especially if you want to check out the nearby La Jolla Caves and the sea creatures that lie below. Read more about La Jolla Cove snorkeling and swimming at La Jolla Cove here. 2. La Jolla Cove has a history of shark attacks. The story goes that the body of Robert Pamperin, 33, was never recovered – all that was left of him was his swim fin. Pamperin was diving for abalone with his friend Gerald Lehrer in 1959 when, according to the Shark Research Committee, Lehrer heard Pamperin cry “Help me!” — so he turned around to find his diving companion “upright and unnaturally high out of the water, with his mask missing.” The entire lower half of his body was in the mouth of the shark. To this day, it remains one of the scariest La Jolla shark attacks in recorded history. Luckily, the only sharks we see at the Cove nowadays are the harmless leopard sharks. In fact, you can even swim and snorkel with the La Jolla leopard sharks thanks to the Birch Aquarium at Scripps! 3. It lies within the Underwater Park Ecological Reserve. This means the entire area is protected by law. Fishing and removal of objects from this area is prohibited, and beach-goers are not allowed to use surfboards, boogie boards, and inflatable rafts and tubes. Pretty much the only thing you can do at La Jolla Cove is swim. Because of these restrictions, garibaldi and other marine life run aplenty; visitors have reported seeing octopus, stingrays, swell sharks, sea slugs, sea stars, urchins, and large schools of fish. Keep an eye out and you’ll never know what you might see! 4. Lifeguards are present every day of the year. From 9am until the sun sets, you’ll see lifeguards at La Jolla Cove. This is one of just a handful of beaches in San Diego that has lifeguards on duty regularly, which makes it a very safe place to take the kids. 5. It’s home to one of the oldest open ocean swims in the world. Some locals may have guessed this one – the La Jolla Rough Water Swim, an event that dates back to 1916 when San Diego hosted the World’s Fair Pan American Exhibition. That year, the World’s Fair Committee challenged each community to showcase their city by hosting a special event; and what better way to show off the beautiful beaches of La Jolla than to host a Pacific Ocean swim? Seven men participated that year, swimming 1.7 miles in the chilly waters and finishing off at La Jolla Cove. The race truly became an annual event in 1923, and has been held every year since then but five (the most recent being 2016, which would have been the swim’s centennial). Unfortunately, poor ocean water quality and extremely high bacteria levels are currently plaguing the La Jolla Cove and the event has been postponed until conditions improve. 6. The water is always a few degrees cooler. Typically, the water off the La Jolla Cove is colder than anywhere else along the San Diego shore. This is mostly because it faces out into much deeper, colder, water. 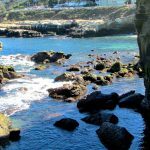 The Cove directly faces the La Jolla Underwater Park that is a favorite for local scuba divers. It, like the Cove, is protected by all sorts of regulations, especially fishing. 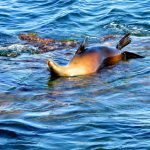 There is plenty of sea life to be spotted here, the most obvious which is of course the La Jolla Cove seals and sea lions. They have definitely made this area one of their favorites; you can spot “Seal Rock’ from the sidewalk above the Cove! 7. 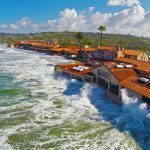 Two of La Jolla’s original beach cottages remain here. In the 1890s the San Diego, Pacific Beach, and La Jolla Railway was built, which connected La Jolla to the rest of San Diego. 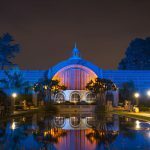 La Jolla became known as a resort area, and to attract visitors, developers built a bath house, dance pavilion, and a temporary tent city every summer. Visitors were housed in small cottages and bungalows above the Cove on a barren hillside, the very first to be built in La Jolla. Two of the cottages that were built in 1894 still exist: the “Red Roost” and the “Red Rest,” also known as the “Neptune and Cove Tea Room.” These La Jolla cottages have been vacant since the 1980s and are in a sad state of disrepair today; due to their historical significance, there has been much debate about if and how to restore them. 8. You can even rent golf carts here! La Jolla Golf Carts has several for rent directly above La Jolla Cove, most of which can seat up to four people. 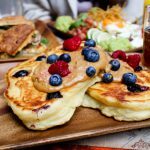 This is a perfect option for people who want to get off their feet for a little while and still explore everything beautiful La Jolla California has to offer – from downtownto the Shores. If bikes or Segways are more your thing, La Jolla has you covered! There are plenty of affordable rental options in the Village as well as at La Jolla Shores. 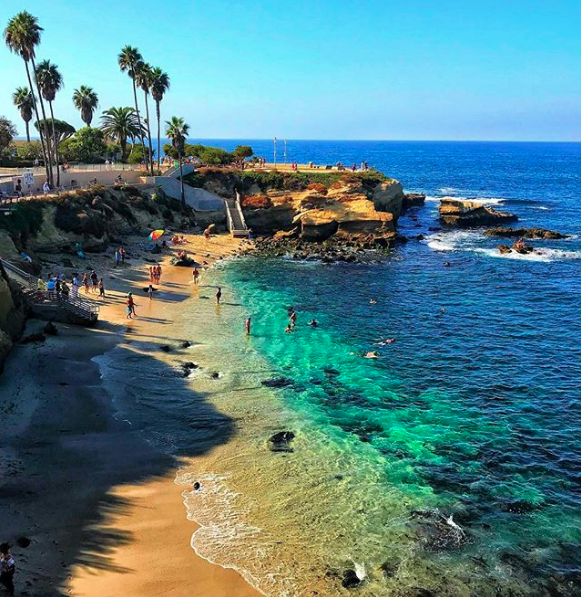 Do you know any fun facts about La Jolla Cove or La Jolla California in general? 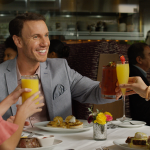 Share them with us on Facebook!